Little by little, my home office has been turning into an AVerMedia hub of various sorts. My soundbar’s AVerMedia, my headphones are AVerMedia (review forthcoming), and all of my console capture equipment has been AVerMedia ever since I first purchased the Live Gamer Portable. I thought I was set on capturing video after working with the Live Gamer Portable 2 Plus, but ultimately, I was limited to only being able to record at 1080P60. With a newly built PC, I felt it was about time to upgrade my video capture equipment as well and had been eyeing an internal PCI-E capture card for some time. Most cards seemed out of reach, but to my surprise, AVerMedia was launching a brand new card refresh including an internal card that could work with HDR and a higher performance range. 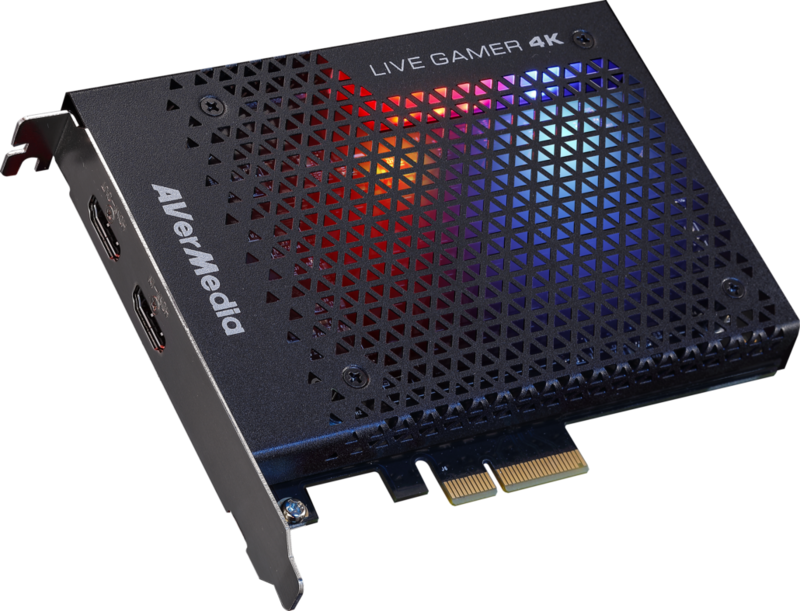 Not limited to just passing through these higher resolution/framerates, AVerMedia’s Live Gamer 4K can capture whatever the player can run. 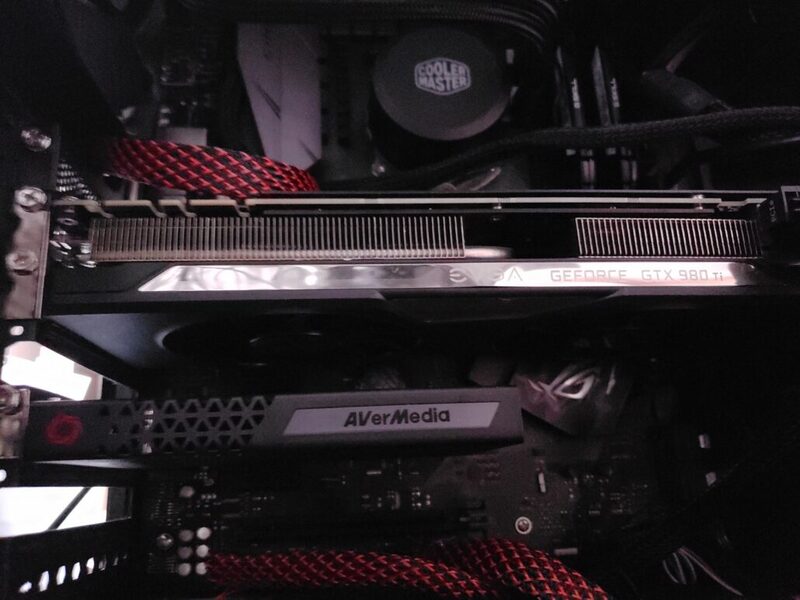 Compared to the competitors on the market, how does AVerMedia’s new flagship card stack up? Related Elgato Stream Deck Mini Review – Does Bigger Always Equal Better? Not that current console games can handle performing at that speed, but the Live Gamer 4K can do much more than 4K60 with HDR recording. If you’re looking to run and stream games with uncapped framerates, AVerMedia’s flagship internal PCI-Express card can handle up to 240 FPS if running at 1080P or 144 FPS if running at 1440P (which just so happens to match my Dell G-Sync monitor). Setting up the AVerMedia Live Gamer 4K was as simple as plugging the card into one of my free PCI-Express x4 slots on the motherboard and wiring in HDMI cables for both my console of choice (in this case, a PlayStation 4 Pro) and television (TCL’s 49S405 from last year). Naturally, the card wasn’t recognized in Windows until I pulled the drivers and the latest revision of AVerMedia’s RECentral 4 software suite. Even then, I had issues with getting either the HDR or 4K content to show up in the PS4 video settings. Most of the time, I’d run into either having to run at 1080P60 or 4K60 YUV420 (which was listed as ‘unsupported’ on the PS4). It wasn’t until I dug through some online forums of people that had other issues in the past and learned that it was my TV’s HDMI output settings to blame. Yes, something so simple as changing the HDMI output for that particular port from automatically selecting between HDMI 1.4 and 2.0 to setting it on HDMI 2.0 made that big of a deal. Once that single setting was changed, I had absolutely zero issue with running the Live Gamer 4K at 4K60 RGB and, for the first time with any of my capture products, HDR recording capability. The documentation for setting up the AVerMedia Live Gamer 4K was a bit lacking but talking with the developers and browsing internet forums was enough to get my particular issues solved with little frustration. AVerMedia’s Live Gamer 4K (GC573, if you’re looking for an easy-to-find model number) capture card far exceeded my hopes and expectations once I finally got the card configured and set up with my PlayStation 4. No other capture device in my workstation could handle HDR, let alone recording at 4K60. Even my mighty Live Gamer Portable 2 Plus (GC513) could pass through a 4K60 signal, but would only capture at 1080P60, not to mention a loss of HDR data passing through. Not only does the Live Gamer 4K do a fantastic job of recording my game footage on the fly, but the actual preview window is playable without lag. To test AVerMedia’s promise of lag-free gaming, I opted to try out Musynx, a rhythm game which I’ll be reviewing shortly. Using just the preview capture window on AVerMedia’s RECentral 4 software, I was able to play along with the music and still earn full combos in most all of the songs I played. Even a few milliseconds of lag would throw off any sense of rhythm and timing in a game like Musynx. To my surprise, the GC573 internal capture card handled whatever I threw at it with grace. In a positive mark for being stylish, the AVerMedia Live Gamer 4K offers a few various RGB settings to give your windowed case a bit more style. These color effects range from color cycling to giving a static color indication of how the capture card is performing. Sadly, there’s no Hue or Chroma integrations as of yet, so it may mesh with your current internal lighting situation if you have a common theme going. In this case, I’d opt to stick with a static color or turn off the LED lighting entirely. AVerMedia’s own capture software, RECentral 4, is an integral part of getting the drivers and support going for the Live Gamer 4K and should work well for budding streamers. It’s a fairly simple program that offers basic layouts of either just a capture card on scene, or multiple video sources all working together. It lacks the robust layout setup that the likes of StreamLabs OBS can offer, but it should do well for players that just want to focus on showcasing gameplay and little more. Even with sixteen gigabytes of RAM, I found trying to switch settings on the fly to be sluggish and delayed, often waiting upwards of ten seconds for any changes to take effect. Another anomaly of the RECentral 4 control suite is choosing whether to opt for hardware of H.264 based rendering. In my case, always choose your graphics card as H.264 (not to be confused with the codec) had severe frame pacing issues with recording that let to unusable video given the severity of the issues. 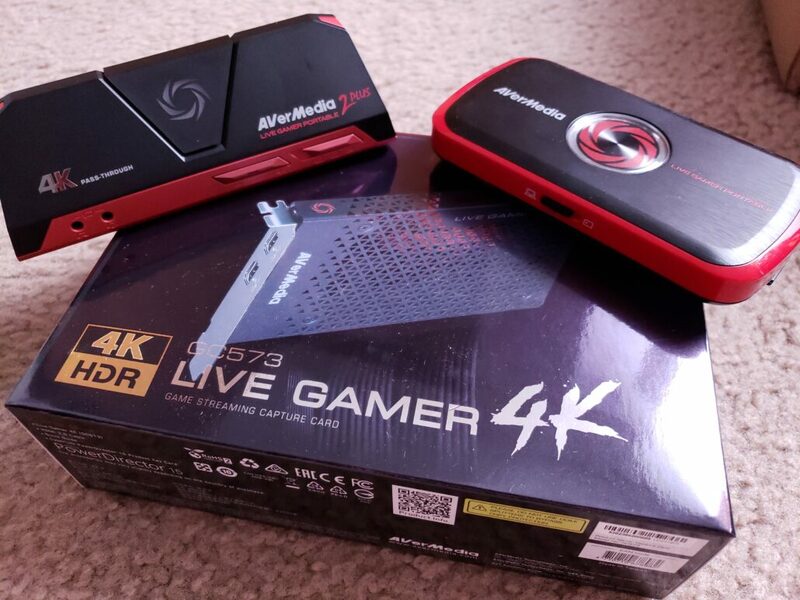 Overall, I found AVerMedia’s Live Gamer 4K to be an incredible upgrade above their Live Gamer Portable line and will become the new mainstay for video capture and streaming in my home office. Not only does it give me the chance to record video at 4K60, making it viable for this console generation and probably the next, but capturing HDR is a huge boost above any other card on the market. The GC573 requires a bit stronger performance from the recording rig versus AVerMedia’s external device lineup, and there’s some additional tweaking and settings to work around to unlock the full potential, but the extra time and effort from the user will reward them with a card that can stand the test of time for as long as consoles continue to run on the HDMI standard. AVerMedia has been killing it in their capture cards for years and I’m ecstatic that their best performing card on the market just so happens to be one of the cheapest 4K capture cards around. Review unit provided by the publisher. You can purchase the capture card via Amazon. While a few software glitches and required setup tweaks keep the Live Gamer 4K from being a perfect plug-and-play situation, once you get the GC573 up and running, it easily outperforms any other capture card in its class with a price that can fit into a budding streamer's budget.